Yesterday morning I filled my water tanks and set off. First stop was to pick up José from Valladolid..
José was another Blablacar person - he'd contacted me about a lift from Valladolid to Salamanca. So, trusting my Tomtom satnav to get me there I headed for the school where José is a teacher. I found the location ok, and then he was able to guide me back out through the streets and onto the autovia. It was about an hours drive to Salamanca and we were able to converse in English and have some good conversation. José was actually taking English lessons that afternoon and was glad to have a chance to practice en route. It was also good for me to get acclimatised to the country by spending time chatting with a local. I picked up the Spanish necessary to buy fuel etc, and practiced my pronunciation too. 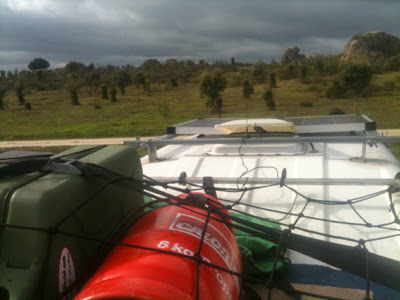 Then it was back on the road again out of the busy city of Salamanca. 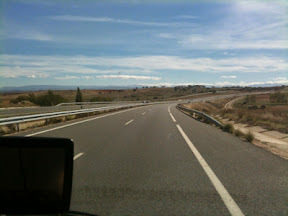 One thing I have noticed on my journeys through Spain is the perception of vast distance. Often the horizon seems a thousand miles away, and the landscape stretches out to infinity. In actual fact the total drive from Santander to Lagos (1015km) is less than the distance from Scoraig in Scotland down to Plymouth. (1136km). Familiarity, and the landscape probably have a lot to do with it. 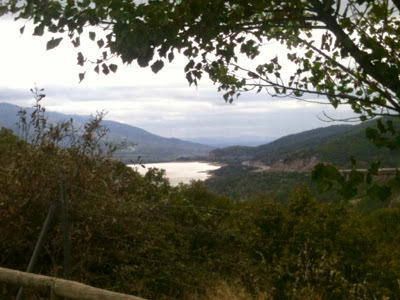 I pulled in near Banos de Montemayor, where I was stranded for a few days with a failed water pump back in March, to have lunch and look at the familiar views over the lake. It was windy but warm up there. At Cáceres I pulled off the motorway to head for my chosen overnight spot. I don't plan to drive on the motorways now for the rest of the trip. More on that later. View from the van roof where I spent the night. Back in spring there had been storks nesting up on the rocks here in huge nests but only the empty nests remained now. I still went to sleep to a frog chorus though. 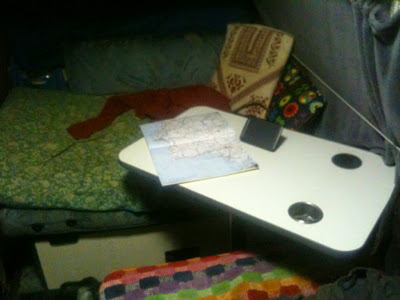 Sat nav and road atlas out.. Planning tomorrows journey. I will travel by a different route than the last time I was in the area. Lowest temp tonight to be around 17° C. It's around 22° here during the day.